September 30th & October 1st. This year the Open-Source and maker Community Hub, centered around RepRap 3D Printing has a great line-up of companies and individuals you would be very foolish to miss. First if you have not already registered for the show, you can get a free badge and entry into the show by signing up here, it's well worth pre-registering as it avoids the queue at the NEC. If you want to meet up with me or anyone else please come to the show and visit J42 and the surrounding stands, it always great to see people from the maker community, talk about projects, ideas and generally discuss 3D printing in all it's glory and spectacular failures. Full exhibitor list can be found here. TCT Show Floor-plan is here. 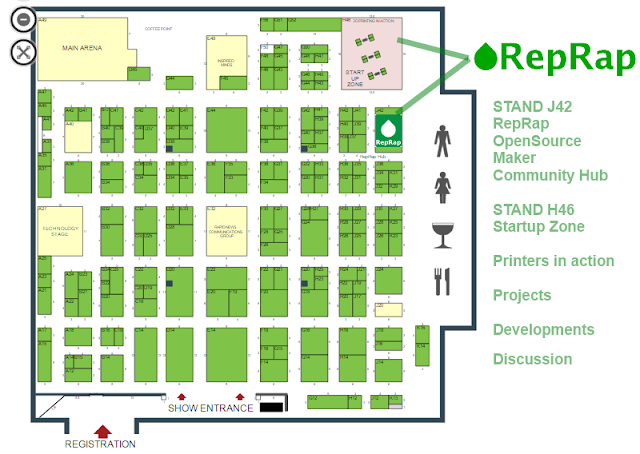 RepRapPro Ltd. - Adrian Bowyer and the team are back with the new Fisher Delta printer, and many new RepRap updates. 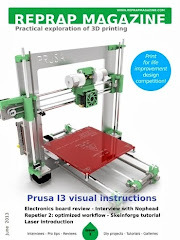 Semi-Utilitronic Industries is on the Hub with a rather nice version of my 3DR Delta printer design and lots more RepRap pares and advice. ANDORNOT - will be back on the Hub with the finished Spatial One Delta printer - Andrew had the prototype on demo at the show last year, this time it's all ready for sale - Open-Source and very well built. Shouting out a few companies close and around the community hub, sorry if I missed you off this post, (Just too many awesome companies to mention everyone) I do plan to visit every single exhibitor at the show to see what's new and interesting. 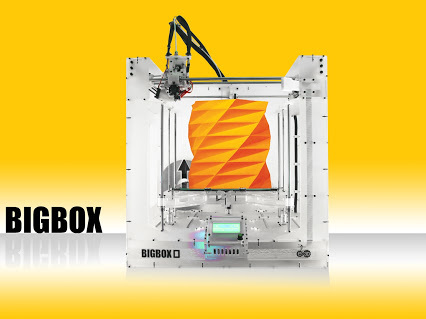 E3D (BigBox and LittleBox) - will be on stand J41 with what they tell me is the all new and improved BigBox 3D Printer design - looking forward to seeing the changes and print quality. Obviously all the great E3D hot-ends and materials will be on display and to buy during the show. RepRapWorld is opposite the Community Hub, On stand J39 - Designers of the Megatronics electronics, and many other very cool things for RepRap 3D Printers - do give them a visit. 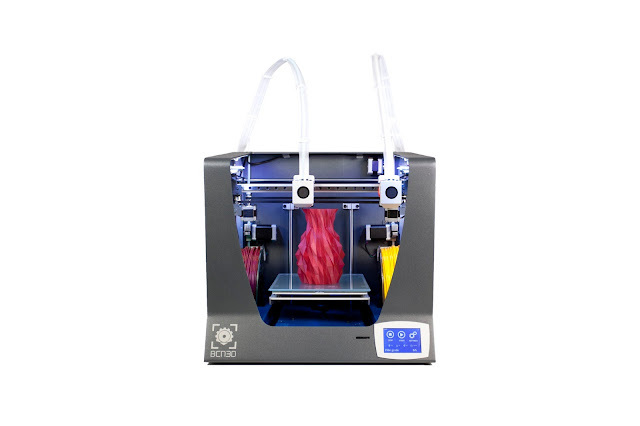 BCN3D Technologies is next on Stand J37 - you really do not want to miss the fantastic Sigma dual 3D Printer, it's just about the most impressive dual carriage printing FDM machine for the price you will see at the show. Recreus and the Amazing FilaFlex materials are on H47 - I have been using a lot of FilaFlex recently, it's really great TPU material for 3D Printing. Steve wood of Gyrobot will also be demonstrating a rather fantastic program for auto-generation of custom Filaflex insoles. That's well worth a visit. Kuehling & Kuehling H32 - Probably one of the most business-ready capable FDM based 3D printers in recent years. Mass Portal G30 - I was blown away in Berlin by this little Delta printer - it manages some of the finest looking prints I have ever seen. 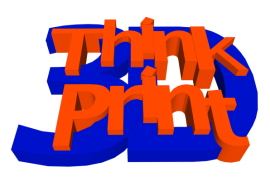 3DFilaprint - C39 - Selling all manner of materials for 3D printers. BuildTak - B22 - build platform sheets that really work well. ColorFabb B36 - Some of the finest 3D printing filaments available. I am looking forward to see the Formlabs FORM 2 3D Printer - recently launched. Still quite a lot of money, but they are setting the bar for Desktop SLA based Resin printing in my opinion. Another interesting development in the SLA market will be Photocentricgroup, launching a new LCD based SLA printer (low cost) and offering both daylight and UV based resin formulations. I'm imagining their LCD based printed just uses daylight resins, but I will find out more and update on this and anything else I discover. Hope you can visit us at the Community Hub, looking forward to another two days of highly interesting discussions with all of you. 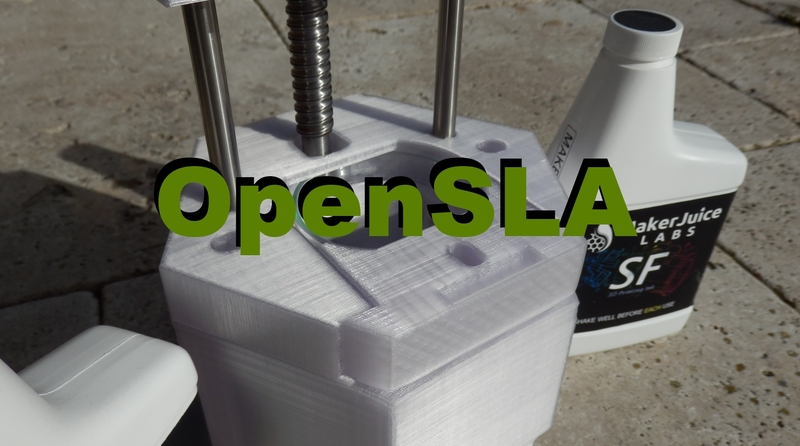 I'll have more updates (and Intro video) on the new OpenSLA project too. Please join and contribute to the Google+ Community over here.